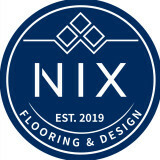 Nix Flooring & Design - We are Bluffton/Hilton Head’s leading flooring retailer that not only offers the highest quality products and competitive pricing but also offers the very best customer care. Our design team is determined to ensure that your home improvement projects go as smoothly as possible from start to finish. While perfection is near impossible we believe that it’s our customer service and troubleshooting abilities that make us stand apart from other flooring and tile competitors in our local area. We also value your insight and ideas and make listening to your wants, needs and desires our #1 priority while at the same prioritizing budget and realistic expectations. It is our greatest desire to deliver what is promised and create long lasting relationships so that you may share your experience with all of your friends, family and neighbors! Consultation : Some of us are more artistically blessed than others. That being said HGTV and Southern Living magazine can be extremely overwhelming for the average viewer looking to remodel or renovate their home. We stay current with all the latest trends and are constantly educating ourselves on new products and materials. The industry is forever changing and it’s important to be able to offer everything available. There are timeless designs that never go out of style and there are popular designs that will come and go. It all comes down to personal taste and preference. We can guide you in helping decide what will ultimately be best for your situation. Are you going to remain in the home for years to come? Do you intend to sell eventually? Do you have dogs? Children? Grandchildren? Do you entertain often? These are all lifestyle related questions that a huge factors in determining your best route as far as looks, maintenance and budget. Nix Flooring & Design has over 40 years combined experience in the flooring industry. They are design savvy professionals who listen and guide customers based on their taste and lifestyles. Our installation and sanding and refinishing teams are some of the very best in the LowCountry. They strive to get the job done as efficiently as possible while at the same time working hard to achieve realistic time frame. Gilman Floors is a full-service floor covering dealer specializing in wall-to-wall carpeting, hardwood flooring, tile & stone, luxury vinyl, and area rugs. We offer design assistance in our comfortable state of the art showroom. Our profession installation comes with a lifetime guarantee. We are the local leader in Hilton Head, Bluffton, and Jasper County. A family owned and operated business for more than 15 years, the friendly professionals at Redstone Floor Coverings are dedicated to providing you with unmatched expertise and personalized customer service. Our qualified team of hardwood floor and tile flooring experts work with you to determine the best products to fit your needs. We are locals who love to play and work in our community! Carpet Baggers has been in business for over 21 years. We pride ourselves on being knowledgeable and professional. Let us help you with your next project!! 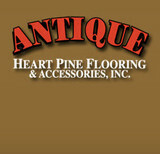 Antique Heart Pines & Accessories creates the finest quality custom hard wood flooring. This means we create your floor to YOUR specifications. This includes: color, character, size of planks, texture, patina and so on. Before we begin your floor, each piece of wood is hand selected. We use a very stringent culling process where only a small portion of each batch is chosen. We make these selections based on color and distinguishing characteristics. Then each board is custom milled to exact specifications. All of our wood is kiln dried to a specific moisture content before we molter (tongue and groove). Kiln drying is the process of circulating hot, dry air around the wood to achieve a slow drying process. This prevents cracking and twisting of the wood. The final process is the painstaking quality of our installations. The installation and finishing can only be described as the work of artisans. It is very important to note that we only install the finest quality custom flooring. We do not install ordinary hard wood floors. This was the original vision of our company founder, Robin Hammond Jones. Robin was born and reared in Columbia, South Carolina and attended the University of South Carolina and the Horry-Georgetown School of Forestry. He was always fascinated by the beauty of the wood that he found in very old buildings. He began the study of historical wood and eventually received an archeology and anthropology license from the state. This certification allows him to recover wood from rivers and wetlands where the wood has often been under water for over 200 years. This reclaimed wood has an incredibly beautiful coloring and cannot be found in new growth wood. We are a company that is driven by the passion we have for the work we do. We consider each of our floors to be a form of art and a part of history. Thank you for visiting our site. Please let us know if we can provide additional information. 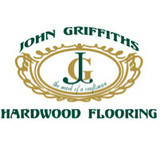 Full service flooring company. We furnish and install all types of flooring, including hardwood, carpet, tile, and luxury vinyl. Coastal Floor Covering has been in the Flooring Savannah GA business since 1971. That’s over 40 years of professional experience we have earned in this industry. When it comes to selecting the best flooring solution for a particular application, the experience we have with all the various flooring products available makes a huge difference and can save you time, money and a ton of frustration. Variety Floor Covering offers Carpet, Tile, Area Rugs, Bamboo Flooring, Hardwood Flooring, Laminate Flooring, Luxury Vinyl Tile, Tile, and Cork Flooring. At our Hilton Head Island store you’ll have access to the most extensive collection of flooring solutions in the Lowcountry. Vickery Brothers Floor Covering is a family owned and operated business, and we encourage you to visit our Showroom/Warehouse for all of your flooring needs. Our sales staff offers years of experience and knowledge from the industry. We will use that experience to help you make the right flooring decision. The Padgett family has enjoyed 45 years of successful flooring and design business serving the Beaufort and Low-Country area. We specialize in a wide variety of tile, natural stone, carpet, blinds, plantation shutters and hardwood floors with competitive prices! So come visit our full-service showroom and let us revive your surroundings with a new shower, backsplash, countertop, fireplace, hardwood flooring, or your entire house; there's no job too big or small! Randy’s passion for hardwood flooring started in the summers of high school where he began reclaiming Antique Heart Pine Flooring from Old Plantation houses. From Demo of old structures to cleaning nails and remilling the lumber for installation, this one-of-a-kind, handcrafted technique fueled his passion to expand his knowledge about other species of wood and techniques for installation sanding and finishing. With over 15 years of on-the-job experience, Randy has the knowledge and craftsmanship to service any and all of your hardwood flooring needs. Randy has earned certificates from the National Wood Flooring Association and is considered by the NWFA as an expert craftsman, installer sand and finisher. Classic yet contemporary, hardwood floors are one of the most beautiful types of flooring a home can have. However, if not installed correctly or damaged, a floor can threaten a home’s entire interior aesthetic. That’s where Bluffton, SC hardwood flooring installers and dealers step in. Whether you need a hardwood floor installation or replacement, or just want some guidance on the types of hardwood flooring available, these Bluffton flooring pros can help. What kinds of services do hardwood flooring installation professionals in Bluffton, SC provide? Find hardwood floor experts in Bluffton, SC on Houzz. Search the Professionals section for Bluffton, SC hardwood flooring installers and dealers or browse Bluffton, SC photos of completed installations and look for the professional’s contact information.